I have drawn inspiration from Frida Kahlo's work in three small mosaics. In this one, I have depicted Frida in the way I'd like to think she is now-free from pain and in a more peaceful place. 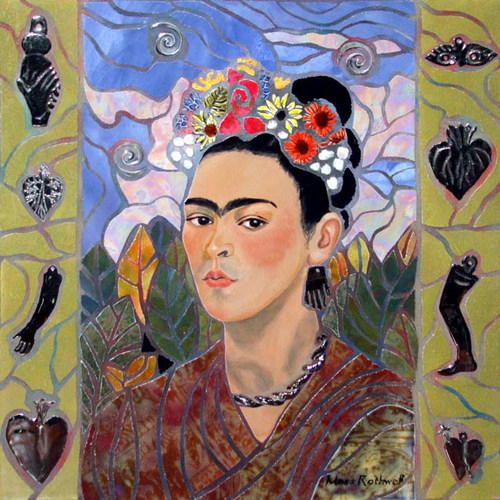 In this interpretation, she is in a lovely garden surrounded by Ceramic silver milagros, which represent protection.